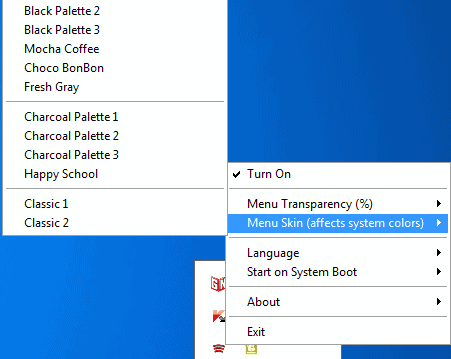 MooO TransparentMenu adds two features to menus in the Windows operating system, that are not available by default. Theme-wise, Windows is not the most configurable operating system. This changes only after users make changes to system files, to unlock the ability to add advanced themes that can practically alter any aspect of the operating system. Most users on the other hand shy away from that, understandably. But, changing some colors and desktop backgrounds is not really enough for them either. That's where third party programs like Moo0 TransparentMenu come into play. 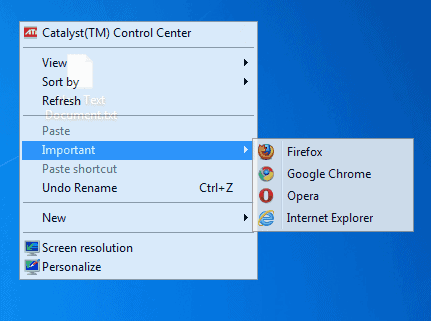 The free software for Windows adds options to change the transparency and design of menus in the operating system. The program is controlled via its system tray icon. 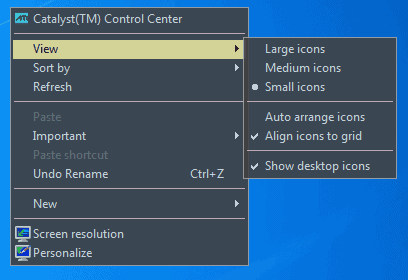 A right-click on the icon displays the context menu with options to change the transparency of all menus, and a new design for the menus. The transparency is changed for most menus, including Windows Explorer but also Firefox, Mozilla Thunderbird or the start menu. Some programs on the other hand are not affected by the new transparency settings, including Google's Chrome browser. Probably more interesting than changing the transparency of the menus, is to change their appearance in the operating system. The software offers more than twenty different menu themes to chose from. Most users probably want to pick a design that matches their Windows theme, and the availability of different color schemes makes that possible. The selected color scheme becomes immediately available, albeit only in Windows Explorer, and not in third party applications. Moo0 TransparentMenu needs to be running in the background, and the program offers an option to start it with the operating system. The reason for running the application are likely aesthetic, as it does not add a lot in terms of functionality. Is it something that you would like to use on your system? Let us know in the comments. and how many MB’s of memory resources will this eat up on my underpowered netbook? About 15 Megabytes, unless you run 64-bit, then double. hey Martin! i get under 1 MB for the utility, and over a half of a MB for the tray hook. max 3 MB. did i forget something 27MB in size?